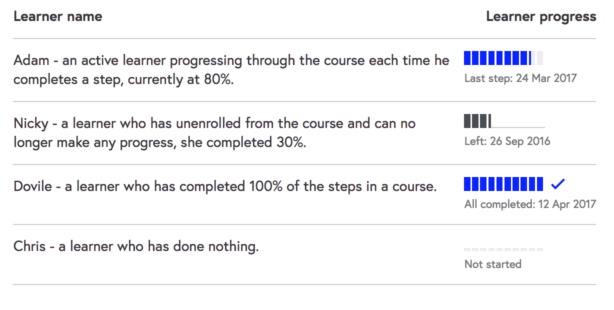 This element is used to show the learner's progress. 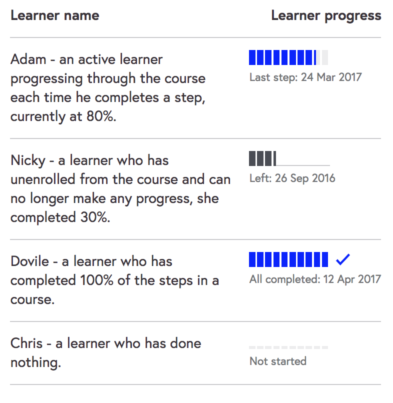 An activity progress bar is used to indicate user activity progress proportionally through a discrete set of steps, eg the percentage of steps a learner has completed. It differs from the Progress bar which is used to show abstract progress that is not linked to user activity.